On a breezy spring day, marinating in an aquamarine hot spring after a 16-mile run to get there, I had an epiphany: “This is why we run so damn far.” At that moment I realized that I didn’t train for ultramarathons; rather, races simply prepared me for ultra-distance backcountry runs that connect my body with the land in a rhythmic, spiritual way. Last winter, my training partner Kevin Cody and I had planned this backcountry adventure run to the Sespe Hot Springs in order to cover over 30 miles of Southern California’s massive Sespe Wilderness. Part of the Los Padres National Forest, the Sespe encompasses 219,700 acres, of which 53,000 acres are the protected Condor Sanctuary. Deep in the Sespe, steamy hot springs exit the canyon walls at a scalding 194 degrees. We started the journey 15 miles north of Ojai at the Piedra Blanca Trailhead. From there we ran the Sespe River Trail, traversing 16 miles of smooth, wet and sandy singletrack. The valley was lush along the winding river, lined with green chaparral, large oaks and grassy meadows—a perfect place for rattlesnakes to hide and hunt. En route, we splashed through several river crossings and climbed rolling hills to reach Willett Camp and Hot Springs, about eight miles from the start. Most people stop at Willet or take a break to fill up on water. We encountered a group of backpackers there. 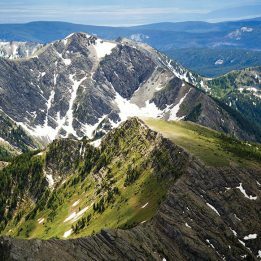 “You must not be going very far,” said one, eyeing our ultralight packs. “We are running on to the Sespe Hot Springs,” said Kevin. Their curiosity sparked, they asked about our water filters, GPS watches and food, and for insights on how someone could cover that much ground in a day. After Willett we skipped along for seven or eight more miles, enjoying views of the wildly striated Topatopa Mountains, glowing in the afternoon light. Near the 15-mile mark we followed a fork to the left, traveling through a narrow canyon to the hidden oasis. The main pool was perfect—clear, two to three feet deep, walled by smooth stones and wide enough for four or five people. With not a hint of sulfur in the air and few campers, the canyon felt like a sanctuary. Leaving Kevin to check out the springs, I ventured farther back to search for the source of the springs and to photograph the valley and some seemingly out-of-place palm trees shading a camping spot along the way. Snakes, mountain-goat trails and springs that were cold to the touch were all I saw. Returning, though, just before rounding the final corner before the palm-trees camp, I spied steam rising behind some barrel cactus. I was ecstatic to find the source, because I’ve never seen liquid squeezing out of canyon walls like that. To capture the moment, I hopped over a couple of streams, carefully tip toeing up the soft hill—avoiding the crystal-clear fire water. The heat and humidity were unbearable—I was, after all, standing over a cauldron of boiling water. With that goal accomplished, I headed back to enjoy a soak with Kevin. 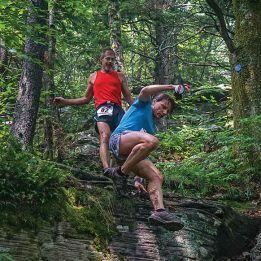 We had come for an ultra-distance run—it turned out to be an adventure beyond the physical. 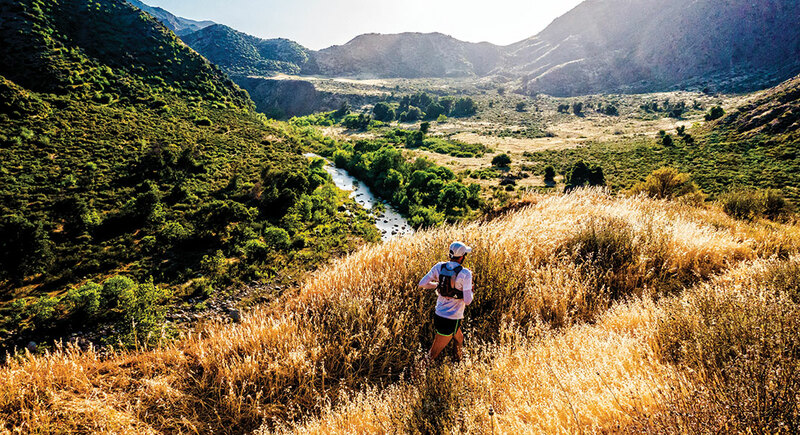 Season Spring is the best time to run the Sespe Wilderness, especially after a rainy season. The Sespe River tends to lower and even dry out during the summer, particularly during droughts, making it more difficult to run. Not only is water an issue, but temperatures can soar well into the 100s during the summer. 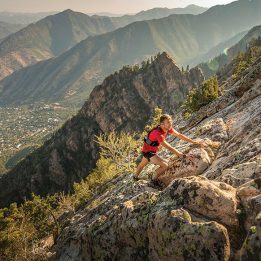 Bryan Toro is a professional photographer and sponsored ultrarunner based in Santa Barbara, California. This article originally appeared in our March 2016 issue. Thanks for sharing articles about wild places, great to have the opportunity to check out different places!